It’s now 97 years since the end of World War I, which means it’s Remembrance Day / Veterans’ Day, depending on your nationality. In honor of the holiday veterans everywhere, I’m reposting a blog from earlier in the year. This post originally appeared on Memorial Day, 2014. As regular readers of Mr Valentine‘s blog will know, I’m not just a writer, I also play the oboe. 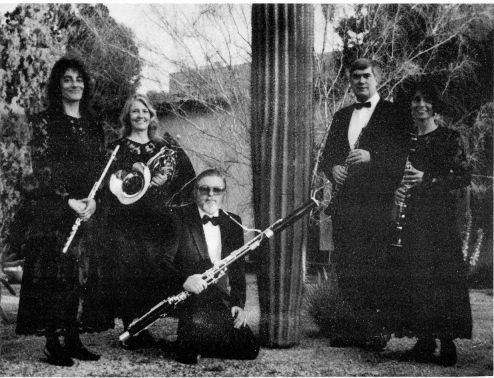 A few years ago — nearly 20, actually; how time flies — I recorded a concert with the Sirocco Woodwind Quintet, based in Tucson. The occasion was the commissioning of a new submarine, the USS Tucson. 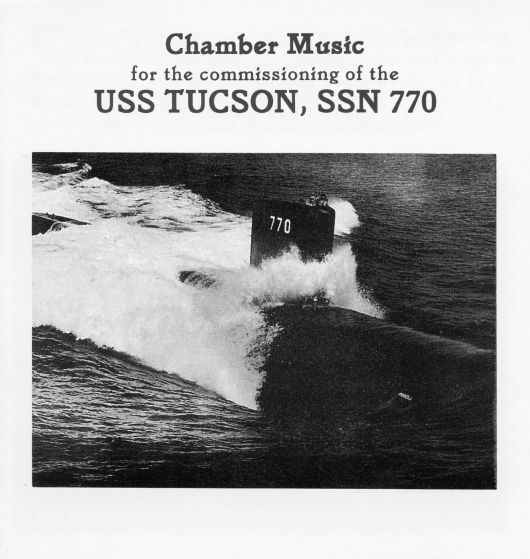 Appropriately enough, the son of the quintet’s bassoonist was the Tucson’s executive officer, and the quintet was to perform a concert as part of the commissioning ceremonies. Alas, Hurricane Felix scuttled the commissioning ceremony — but the quintet recorded the concert that never was. I’m just to the right of the saguaro, holding an oboe. Look at that dark hair! Some of the music is appropriate for Memorial Day, so here are two selections from a doomed concert. First the Star Spangled Banner, and then Washington Post March.